This month we are featuring a huge list of edible doughs! That's right playdough that you can eat, taste good, and is moldable! 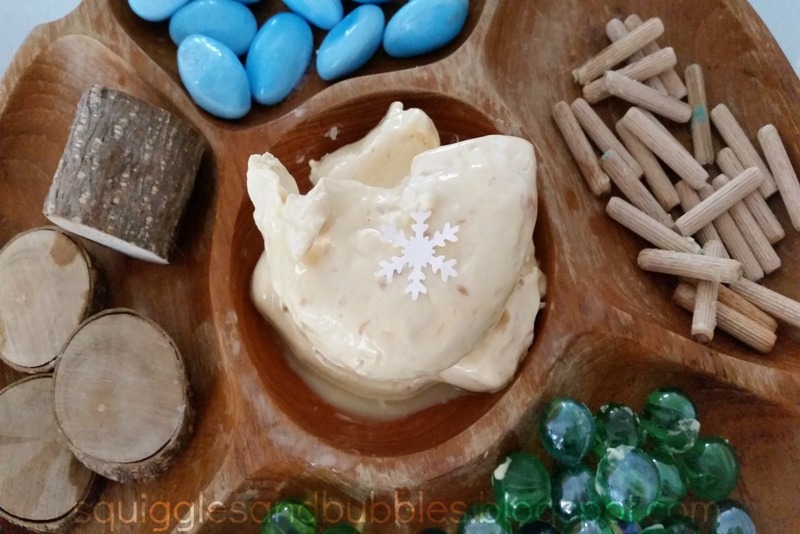 I missed last month's sensory dough as I was stuck in hospital, so thought I'd combine last month's frozen theme with this month's edible dough theme. 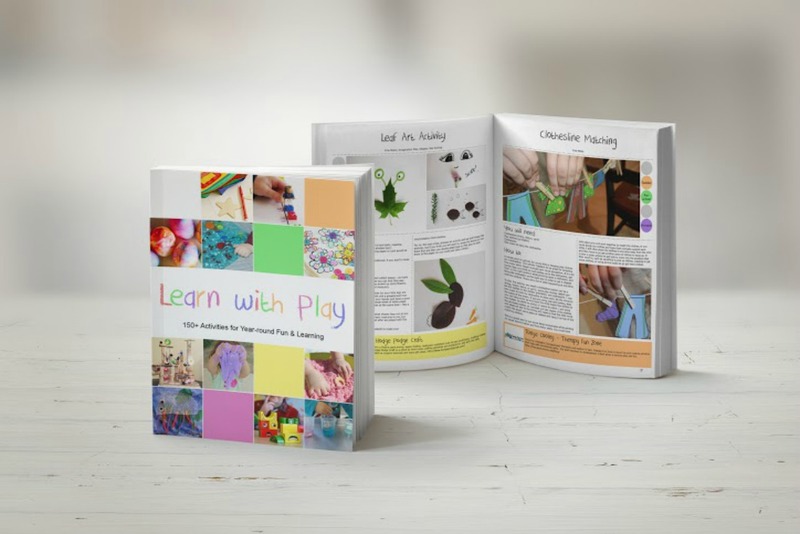 This is only our second edible playdough ever! 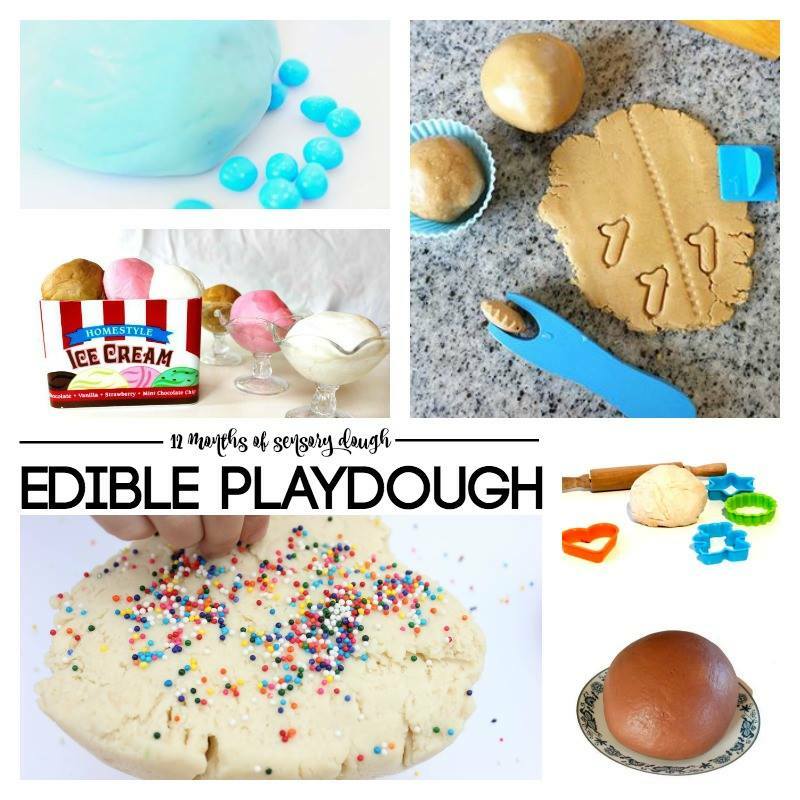 As I said in my post about our Edible Gingerbread Playdough, I've seen edible playdoughs floating around on the internet for awhile now, but I've never really been interested in them. 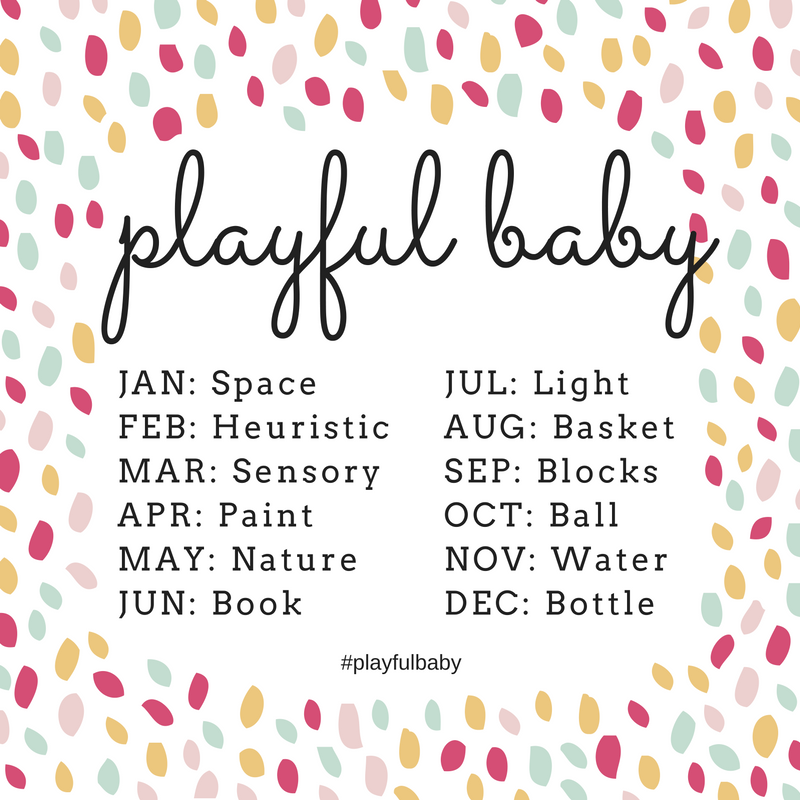 I like taste-safe doughs for littlies but the idea of a playdough that you can eat and tastes good, just never really appealed and still doesn't to be honest. This time around, I chose to try out Mama.Papa.Bubba's Marshmallow dough. I didn't do so well, making this one: I cooked the marshmallows a little long and the dough wound up with flecks of toffee throughout but I figured it would give the dough an interesting texture for the girls' to explore. Squiggles' requested yellow playdough-but I had a little trouble getting the dye mixed through. With frozen dough on my mind, I decided to pop the dough in the freezer and see how the dough responded to being frozen. 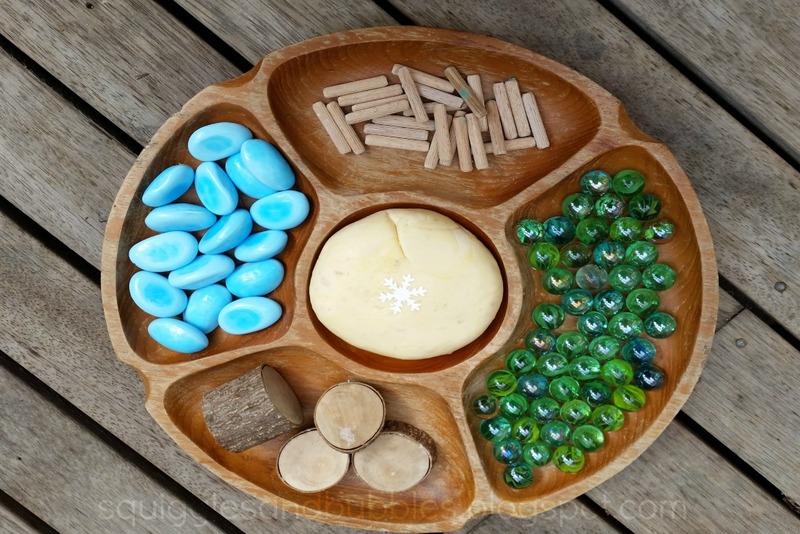 To invite the girls to play, I simply placed some edible frozen playdough on a tray along with a few other elements I thought might enhance their play: marbles, rocks, tree cookies and dowel pieces. After being in the freezer overnight the dough was very solid so I thought it'd be perfect for a little hand strengthening. To support this, I provided the girls with scissors, knives and rolling pins too. 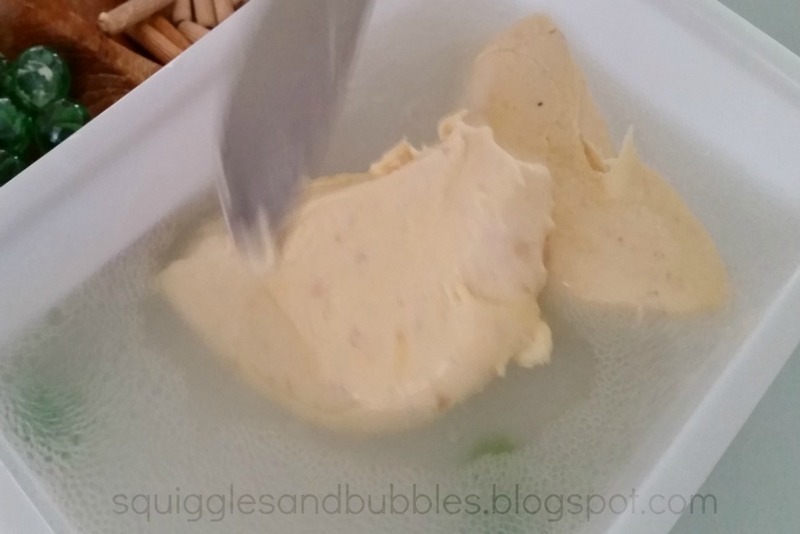 Bubbles took great delight in cutting the dough in half to share with Squiggles. It took her awhile but she persisted and was so proud once she cut through! 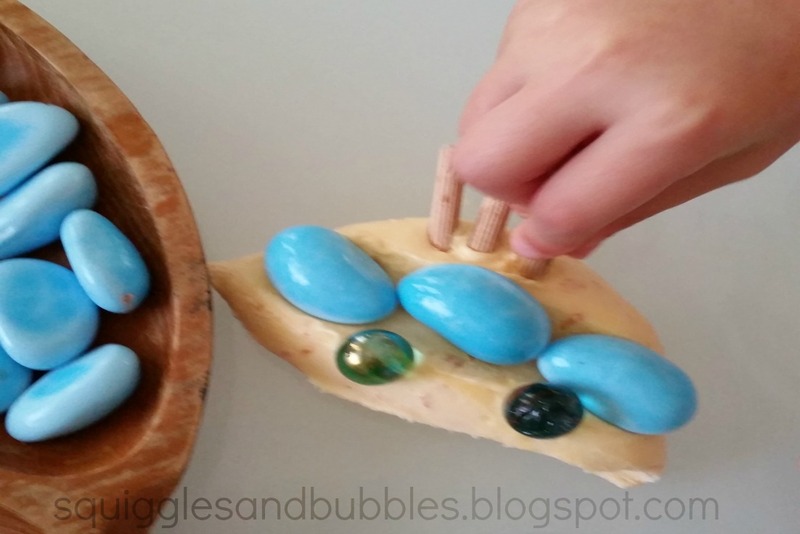 Squiggles attempted to roll the dough, but finding it a bit firm to do so easily, she opted to begin pushing marbles and rocks into the dough. 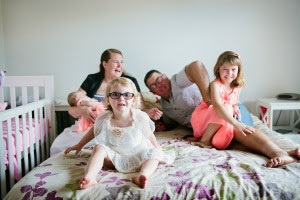 Bubbles began moulding her dough and turning it into a 'person sculpture.' 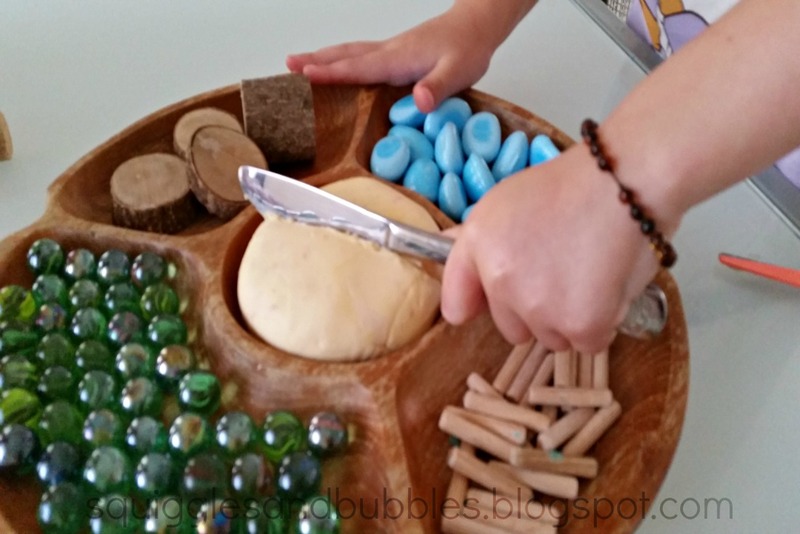 Bubbles remarked how the dough was as tough as clay but sticky! I mentioned you could eat this dough too, but she and Squiggles found this hilarious and refused my offers to try a bite. As Bubbles, isn't a fan of sticky hands, I added a tub of water for her to wash her hands in. 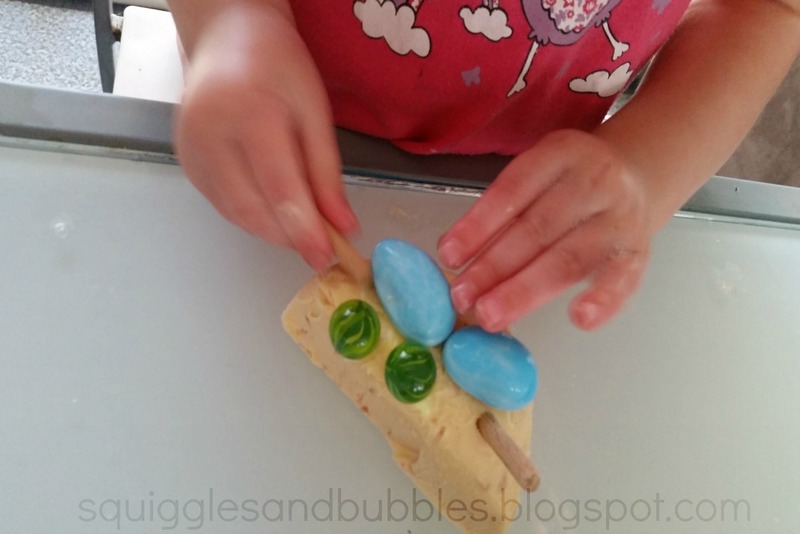 Squiggles and Bubbles took that opportunity to see if the dough reacted to water the same way as clay. Smoothing the water onto the dough and eventually dunking the whole thing into the water. 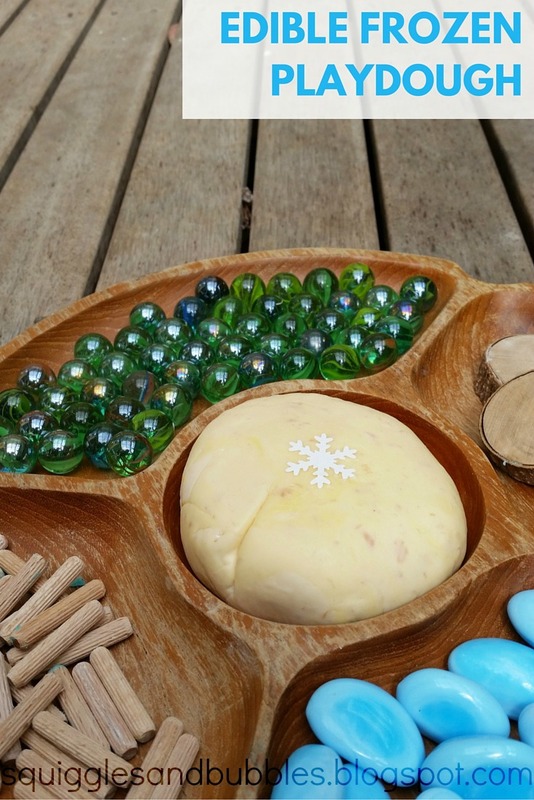 Once the girls finished playing and experimenting, we reset up the playdough tray and it stayed out on the table for the rest of the week-being revisited again and again.